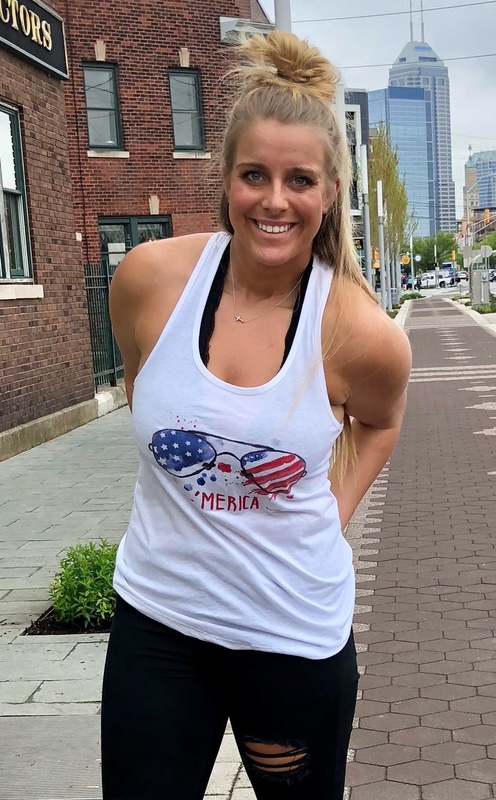 The perfect summer tank! 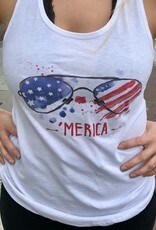 White with american flag sunnies! 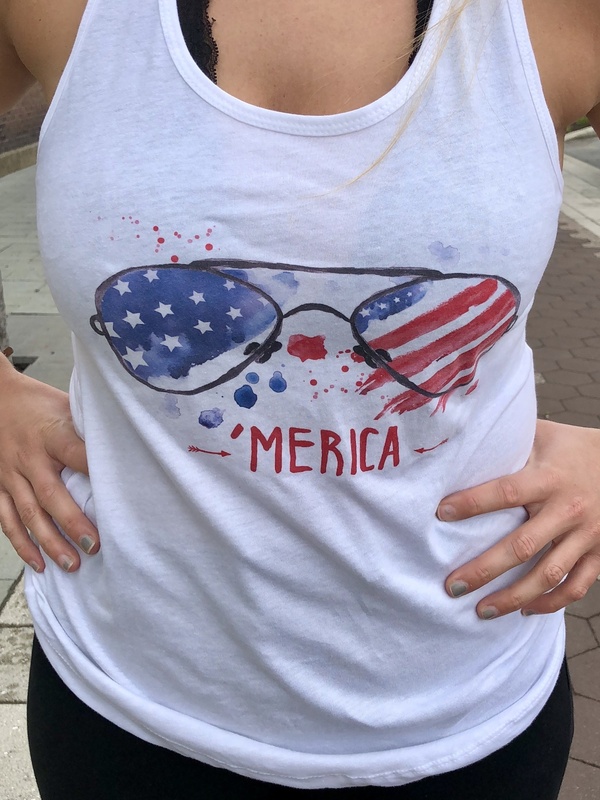 Wear it out to summer festivals or events, and of course it's the perfect tank for July 4th! Women's fitted cut. Designed and made by local Indy artist Rachel Rene Designs. Model is a size 6 wearing a medium.